… it gets better by change. Life changes. Nothing stays the same. Nothing is ever MEANT to stay the same. As humans, we are meant to grow and evolve and that doesn’t happen by staying still. Movement initiates change. But sometimes the idea of change seems overwhelming, so we don’t allow it. We would rather accept the dysfunction that is familiar to us then to offer ourselves up for the unfamiliar. Hence we get in the way of ourselves and our growth. Do you want your life to change? Learn to get out of the way of yourself. Stop trying to control the outcome. Life is meant to change naturally. If it is not changing for you, you might be holding onto something/someone/some thought that is keeping you back from moving forward. Do you want freedom? Do you want change? Do you want to feel as if you are living the best life you can? Get out of the way of yourself. Allow life to change for you. Don’t hold onto things and people that you think are the answers. They may not be. As soon as you learn to let go and let life be, you will take more chances, undertake more risks, and initiate newer courses of action that are unfamiliar to you. This movement is what brings about change. 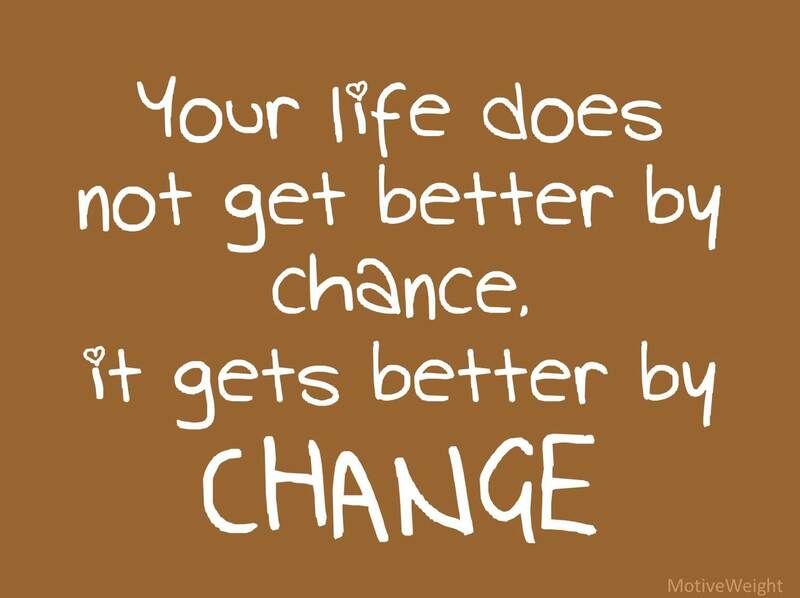 Change never comes about through complacency and waiting. No more waiting for your life to change, invite change in, step up to the plate and let go of old habits and thought patterns that are clearly not serving you. If things have not changed in awhile, it is time to do something new and it is that movement that will usher in change. Time to change, what are you waiting for? timely post. i feel like im missing a blindshot. I have the right people in conversation though something in my way of being i need to change i feel to get everyone following my lead. thats the next step i think for me. Basically i have the attention of the people i want though dont have them closing yet. any suggestions or excercizes here to take the next step ?